Designed to be a family weekend retreat, this magnificent villa is the work of two brilliant architects and interior designers, Ana Proença and Célia Mestre from Atelier Spacemakers. The space exudes comfort, originality and authenticity, along with contemporary feel broken down with several vintage pieces that are integrated for added charm and warmth. The project was meticulously designed from scratch using a choice of bespoke finishing materials and furniture. 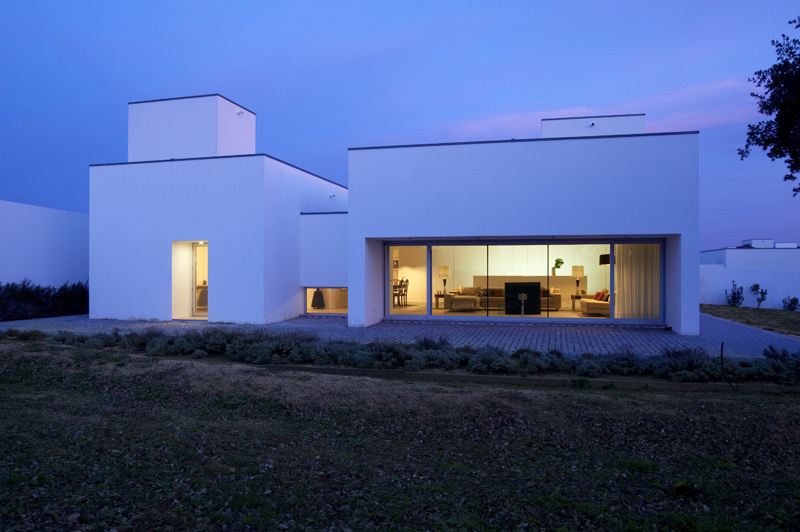 The house was developed on a single ground floor and it is characterised by modern architecture and clean lines, featuring large spaces and light fixtures, facing the exterior through large glass floors and patios. 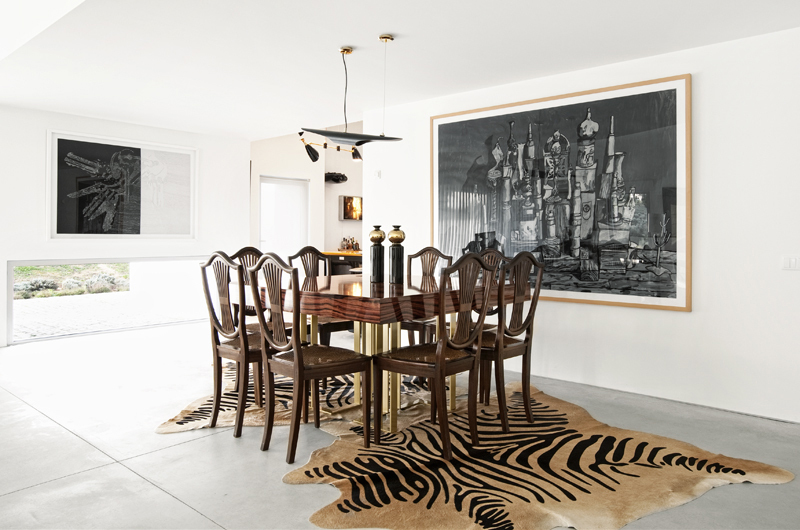 The living room is linked directly to the dining area, where the chairs, dining table and the animal print rug are the main features. The COLTRANE Pendant Lamp, by one of our luxury lighting brands (DelightFULL) with minimalist lines and black and gold finish, emerges as an element that, besides being functional, is a decorative and sculptural object, that stands out above all because of its style and simplicity. 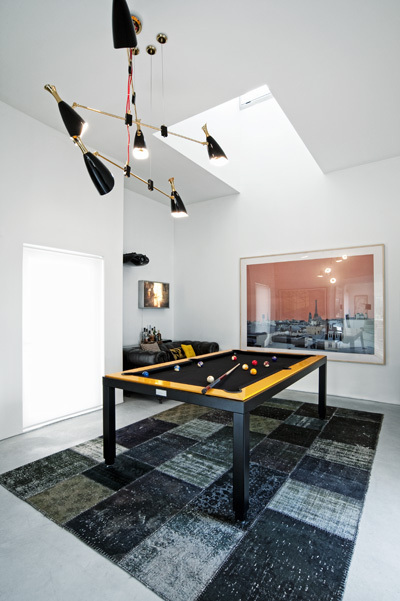 The game and cinema rooms open to a contemporary living room where the furnishings are simple, but where the DUKE Suspension Lamp features as adramatic, yet subtle and trendy lighting piece that illuminates and enchants. 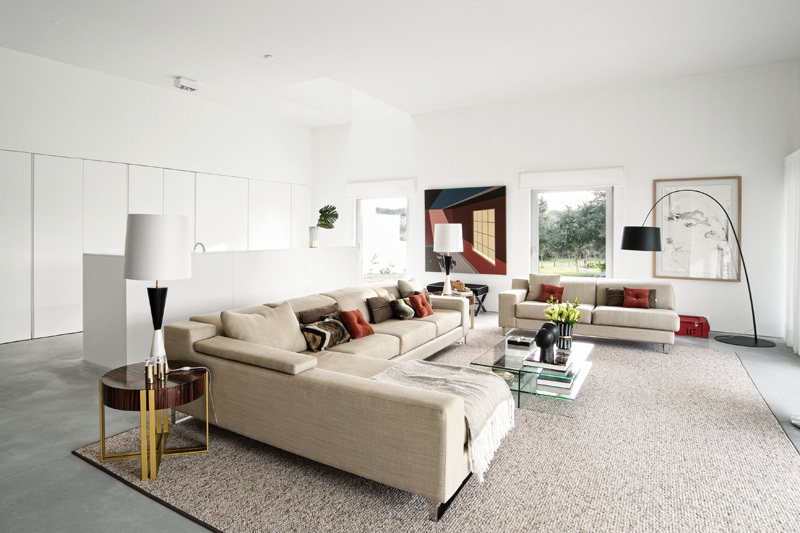 In the suite, white, beige and woody tones dominate the chromatic palette. In the reading corner, the neoclassical chest, which is one of the owner’s family pieces, is a stand out piece, and it perfectly matches with the armchair and footrest designed by Charles Eames. 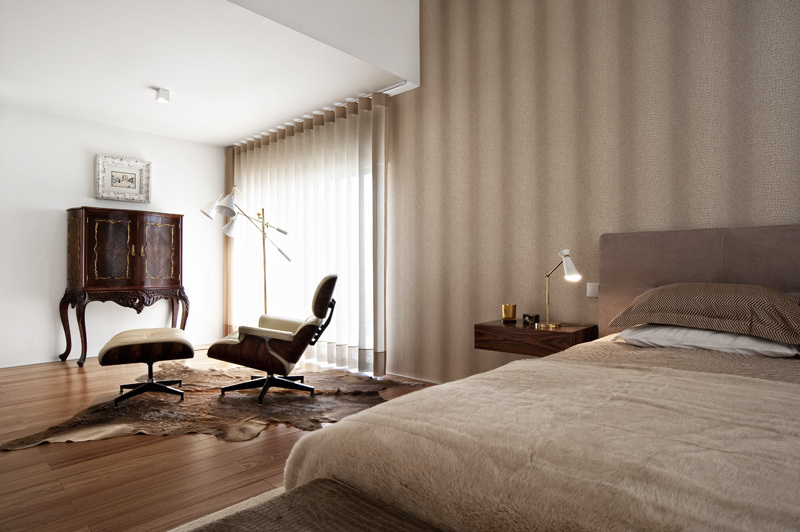 The SINATRA Floor Lamp enhances the elegance and simplicity that was intended for this space.